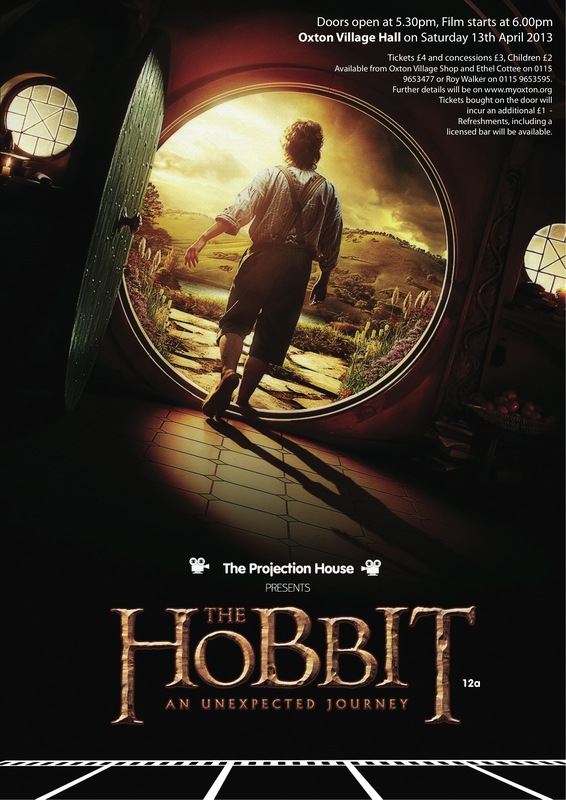 On Saturday the 13th April 2013, The Projection House team will be showing the blockbuster “THE HOBBIT: AN UNEXPECTED JOURNEY” (12A). Following on from the enormous success of Peter Jackson’s “Lord of The Rings” trilogy, he now brings us the first part of a trilogy adapted from J.R.R Tolkien’s classic story, “The Hobbit”. A film of this scale and scope is not for viewing at home but is best viewed on a large screen in a cinema-like setting, as used for all the Projection House events. Staring Martin Freeman and Ian McKellen, the film tells the story of Bilbo Baggins as he embarks on an adventure amongst a company of dwarves to the Lonely Mountain to reclaim their land from the fearsome dragon, Smaug. The film will be shown in the comfortable surroundings of Oxton Village Hall. Doors open at 5.30 pm and the film starts at 6.00 pm. There will a licensed bar and other refreshments will be available. There will also be an interval. Tickets are available in advance from the Oxton Village Shop, Ethel Cottee on 0115 9653477 or Roy Walker on 0115 9653595. Tickets are priced at £4 each for adults, £3 for concessions and £2 for children. Tickets on the day, if available, will incur an additional cost of £1.